Welcome to the weekday education program at the Bellport United Methodist Church. For more than 50 years, our program has been universally loved and respected. We provide a safe and nurturing environment in which children have the opportunity to develop socially, emotionally, physically and cognitively. We believe in treating each child as an individual and utilizing the child's learning style in order to achieve each child's fullest potential. Your child will be welcomed with a smile, loved and nurtured, encouraged to explore and play, and inspired to create and learn! Registration is now open for the 2018/2019 school year! Classes will begin on September 5, 2018. 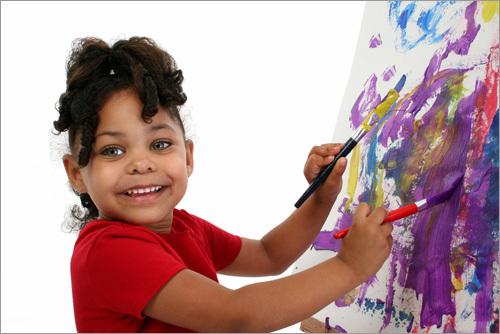 We offer a Pre-Kindergarten Program, a Preschool Program, an Early Preschool Program, and a Toddler Program. Your child can attend 2 days, 3 days or 5 days. 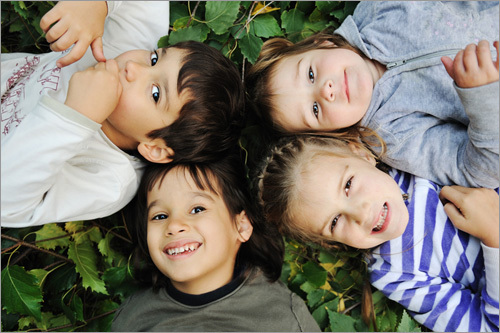 We accept children from the ages of 20 months to those who are not yet ready for kindergarten. Our structured group learning program is designed to ease each child's transition from home to school. This fosters socialization and independence in your child. The Toddler program emphasizes social skills, and language and communication development. We are also here to help with potty training! 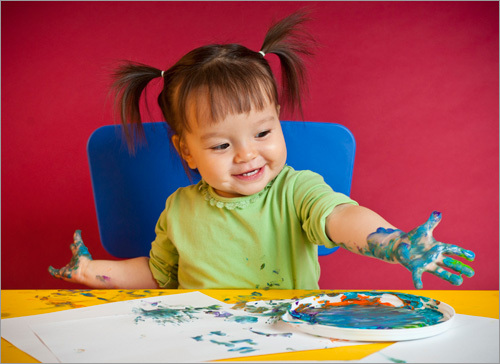 Early Preschool is for children in the process of transitioning from toddler to preschool students. Daily learning experiences are planned to promote independence, enhance social skills and build the confidence needed to reach their potential and prepare them for Preschool and beyond. The hands-on approach in our 3 year old program enables each child to develop age appropriate fine motor and gross motor skills, as well as to improve communication and listening skills. It also reinforces social skills and introduces children to pre-reading, writing, math, science and other education skills. 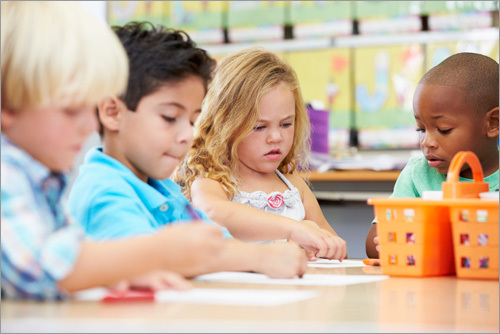 Our teachers employ center-based activities tailored to meet the individual learning styles of each child. The program fosters growth, independence and self-esteem through accomplishments. Children learn how to make good decisions and enhance their language based skills which prepare them for successful entry into Kindergarten. To assist our working parents, we provide an early drop-off option for our morning session. We follow the South Country School District calendar for all holidays and school closures, including snow days. Looking for a few sweet children for Bellport Methodist Preschool’s afternoon program beginning this September! The program is held on Tuesdays and Thursdays from Noon-2:30pm. It is for children aged 2 1/2 - 3 1/2 (30 mos. to 40 mos. ), who are in the process of transitioning from being a toddler to a child ready for preschool. Daily learning experiences are planned to promote independence (aid in potty training) and enhance social skills. Most of all, it will help build the children’s confidence needed to reach their full potential in preschool and beyond! For the 2018/2019 school year, the Bellport Methodist Preschool will be offering Universal Pre-Kindergarten (UPK). If you have registered your child with the South Country Central School District and Bellport Methodist Preschool, your child will be able to attend our 4-year-old program without cost to you. “My three year old tested on a 1st grade reading level.” C. C., mother of two students. “The nurturing atmosphere has given my children positive self-esteem.” C. H., mother of three students. “I have to say, hands down, the values and education my children are getting cannot compare to any other program I have experienced.” C. S., a special education teacher and mother of two students. “The teachers have always been very caring and the curriculum has far exceeded our expectations.” D.B. & J.B., parents of two students. “The teachers keep you up to date with what the children are learning and what is going on day to day with your child.” M. L., mother of two students. Ready to Register or Need More Information? Please contact us with any questions about our program or registration! Give us a call at 631-286-2498!